Tattoos last a lifetime and I'm not so sure some of these people really thought that through. Yes, tattoos are a way to express yourself and put your feelings in artistic form. We get that. Tattoos are also permanent and reside there for life. Based off the looks of some of these tattoos, these people might have forgotten that part. 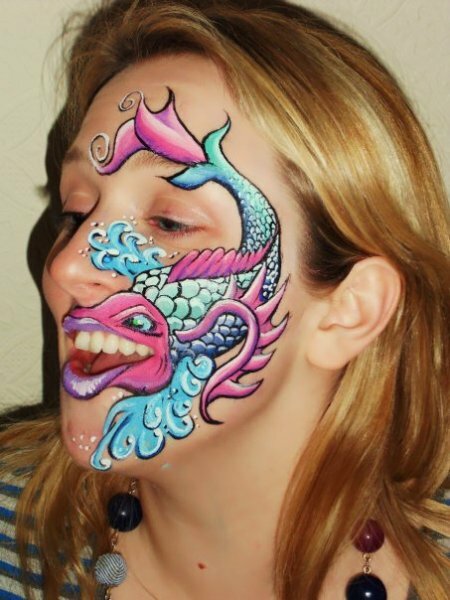 Take a look at ten fishing tattoos that are just plain terrible! I'd rather not. Classy, real classy. I am all for being patriotic and I also love a good fight with a blue marlin, but it's the back tattoo containing both of them I am not so sure about. Who talked her into this one? I bet she loves Shark Week. Nothing quite screams "Redneck Girl" like back tattoo of a bass. Also, those denim 'underwear' have got to go. Someone remind this guy not to wear sandals. Indescribable could sometimes be a compliment for a tattoo. Not the case here, is that even a fish? Brace yourself, this may be the strangest thing you see all day. Kudos for the humor in the face of tragedy, though! We really hope this one is not real. Mike Tyson would definitely approve though. It has to be Photoshop, right? All of these people need a stiff drink. Like this moonshine recipe below!